Keeps pet safely & securely to rear of vehicle. Installs in just minutes! Fits most all sport SUV's, wagons and crossover vehicles. 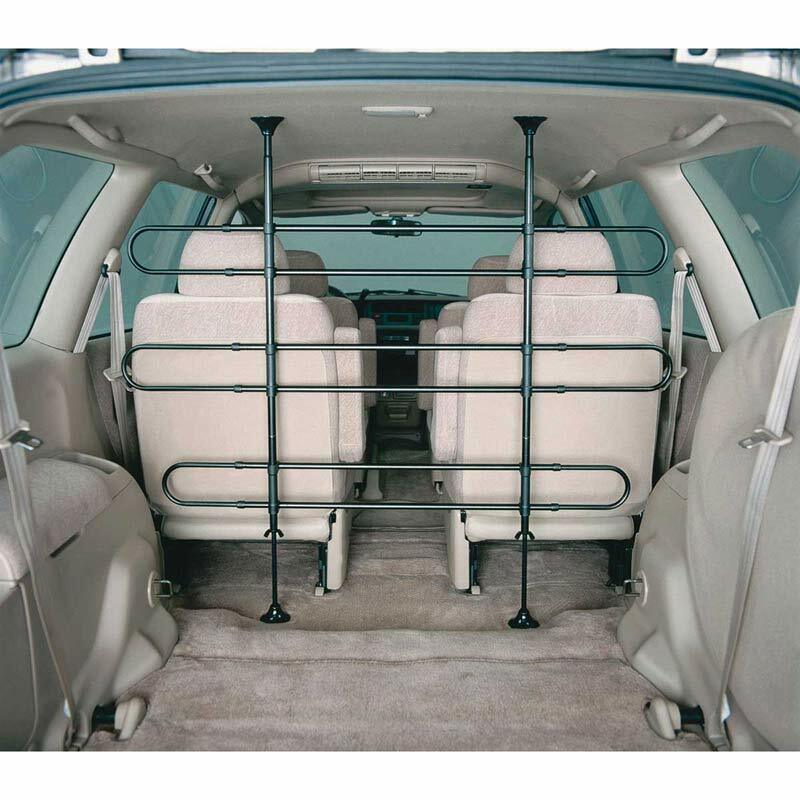 Expandable to 30 - 55H, 34 - 65"W. Tubular construction " eliminates blind spots. Soft brace pads protect interior. Design allows for horizontal & vertical adjustment. Non-Reflective Black Electro-Coating. (Combo: Pet Barrier & Extender 6-bar setup - 9 lbs).